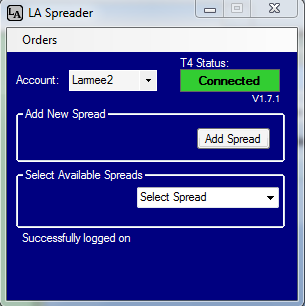 LA Spreader is a general purpose auto-spreading tool that uses the popular T4 (Cunningham) interface to retrieve data and to submit trades. The program works for you, looking for opportunities to put you into or out of a position in any two markets supported by T4. Our algorithmic spread engine is constantly watching the two markets, waiting for the right moment to seize the opportunity and get you into position at your price. Our heritage is custom programming and that's allowed us to work closely with traders for many years. We've been able to include all of the features you need without a lot of undecipherable clutter that you don't. 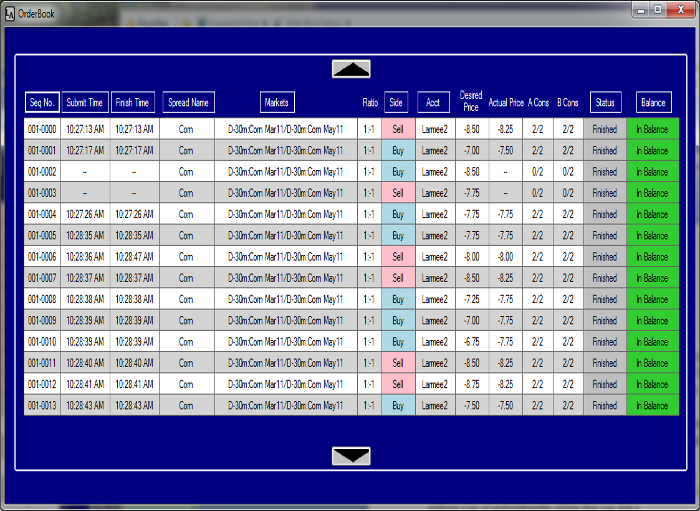 Supports Calendar spreads, Synthetic Spreads, same-side spreads and more. Ability to trade in smaller chunks, both reducing your risk and allowing you to enter positions without broadcasting your intentions. 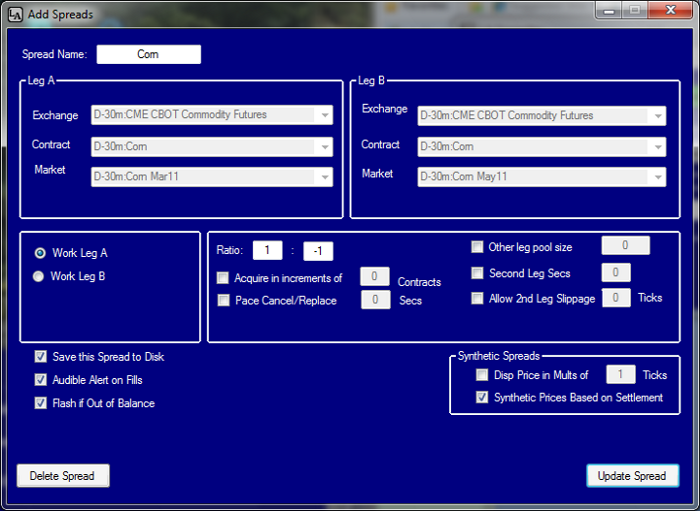 Ability to trade multiple accounts simultaneously. Built-in mechanisms, like pool-size limits and slippage to minimize the chances of getting hung up on one leg. 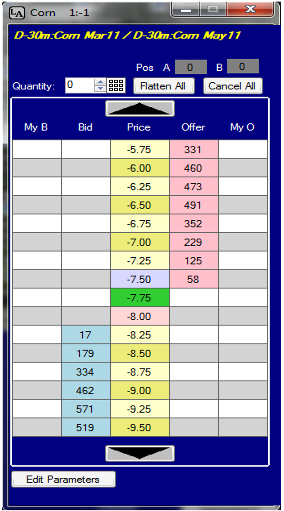 Order Book - shows you all of the spread trades for the session at increasing levels of detail. 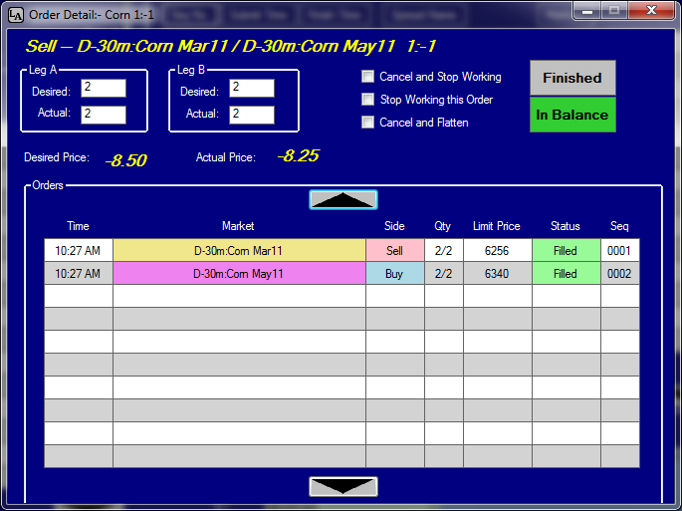 The last thing you need in the heat of a trading session is software that's buggy or complicated. LA Spreader is different. It has a clean and simple look and feel that traders really appreciate. You'll find yourself up and running almost immediately.